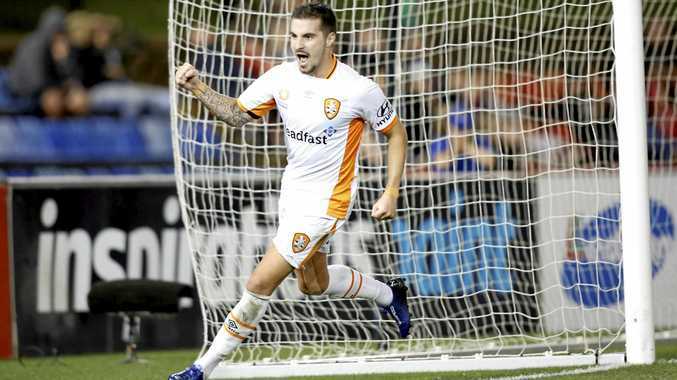 BRISBANE Roar striker Jamie Maclaren remains in 2018 World Cup contention despite his axing from Australia's squad for this month's qualifiers against Iraq and United Arab Emirates. 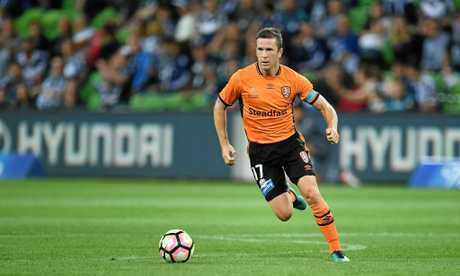 Midfielder Matt McKay is the only Roar player named in an extended 30-man Socceroos squad for the March 24 (Qld time) and March 28 games. Maclaren led Australia's line in November's 2-2 draw with Thailand in Bangkok but failed to fire. He has scored 13 goals, including two in the Roar's 3-1 weekend win over Newcastle, from 21 A-League appearances this season. Socceroos coach Ange Postecoglou said on Wednesday 23-year-old Maclaren needed to evolve as a striker. "He's scored goals this year and he's still very much in the (Socceroos selection) frame," Postecoglou said. "I don't think he's been consistent this year as he was last year. "It's not just about goals, it's about each player's game evolving. "Probably (Perth Glory forward) Adam Taggart's in a similar boat. You just want to see their game continually evolving because we know that international football is different from club football, particularly for strikers. "I think Jamie has some inconsistencies but the good thing is on the weekend (against the Jets) I thought he played really well. A player with no inconsistencies is 34-year-old McKay, who is a chance to play for the Socceroos for the first time in 10 months if he survives Postecoglou's culling of the squad from 30 to 23 next week. McKay was on Wednesday reluctant to discuss his inclusion in the extended squad, preferring to keep quiet until the final 23 is named. Former Roar coach Postecoglou was adamant McKay, capped 59 times for Australia, would not disappoint if he made the final cut. "I still think Matty's playing good football and I certainly rate him highly," Postecoglou said. "Through a lot of this qualifying process we wanted to get minutes into guys like (Aaron) Mooy and (Massimo) Luongo, Jackson Irvine and others. "With that in mind, Matty's been a bit stiff to miss the last couple of squads. "He's in great physical condition and we know again that at international level, whenever I've called him up or previous coaches have called him up, he's never let anyone down. 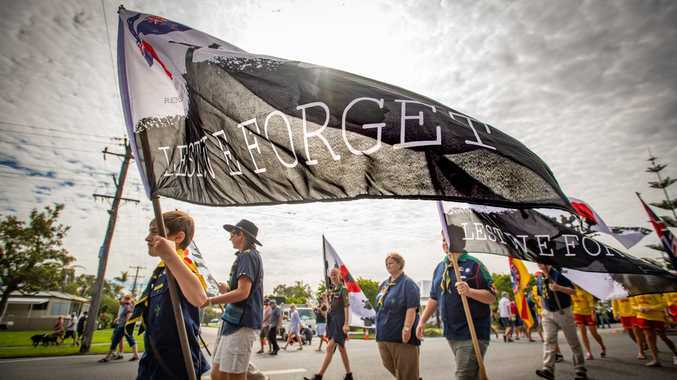 Australia: Mustafa Amini, Aziz Behich, Nathan Burns, Tim Cahill, Milos Degenek, Ryan Edwards, Alex Gersbach, Craig Goodwin, Rhyan Grant, Chris Ikonomidis, Jackson Irvine, Mile Jedinak, James Jeggo, Tomi Juric, Robbie Kruse, Mitch Langerak, Mathew Leckie, Massimo Luongo, Awer Mabil, Riley McGree, Matt McKay, Mark Milligan, Aaron Mooy, Mathew Ryan, Trent Sainsbury, Brad Smith, James Troisi, Danny Vukovic, Rhys Williams, Bailey Wright.